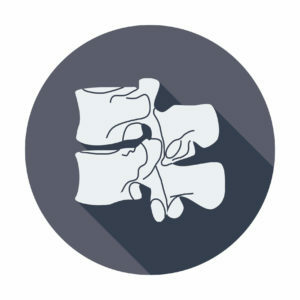 Between each vertebral body is a “cushion” called an intervertebral disc. Each disc absorbs the stress and shock the body incurs during movement and prevents the vertebrae from grinding against one another. 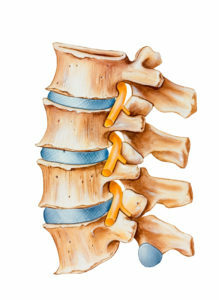 The intervertebral discs are the largest structures in the body without a vascular supply. Through osmosis, each disc absorbs needed nutrients. 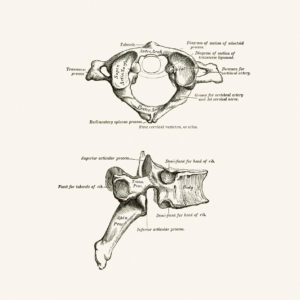 A primary spine stabilizer About one inch wide, the ALL runs the entire length of the spine from the base of the skull to the sacrum. It connects the front (anterior) of the vertebral body to the front of the annulus fibrosis. 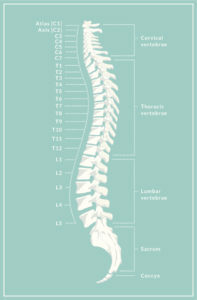 A primary spine stabilizer About one inch wide, the PLL runs the entire length of the spine from the base of the skull to sacrum. 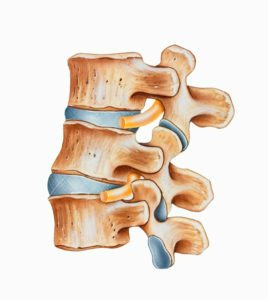 It connects the back (posterior) of the vertebral body to the back of the annulus fibrosis. The strongest ligament This yellow ligament is the strongest one. It runs from the base of the skull to the pelvis, in front of and behind the lamina, and protects the spinal cord and nerves. 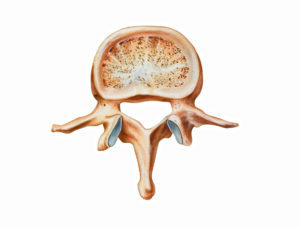 The ligamentum flavum also surrounds the facet joint capsules.